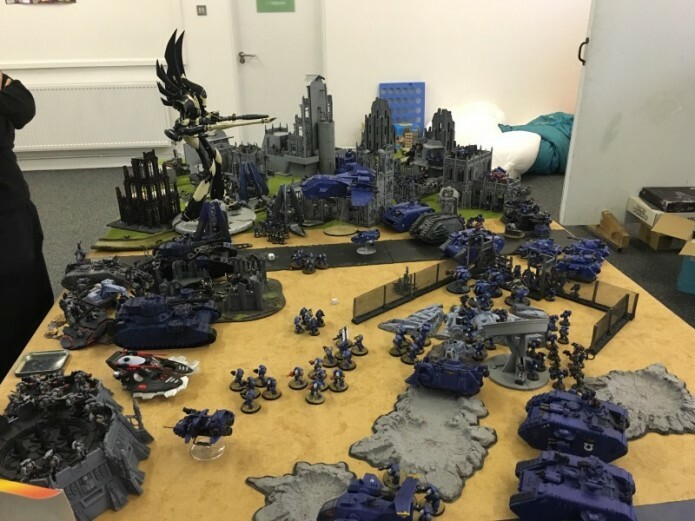 For two years Captain Ventis had been plotting revenge on the Eldar Titan less affectionately known as Bone Walker; within the Fourth Company. 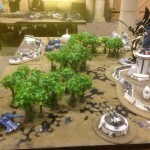 New intelligence had suggested the Eldar Titan was involved in a cleansing mission with another unknown allied force. 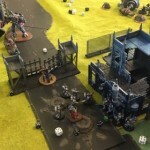 Not willing to let week intelligence get in the way of his honour Vetris made request to Malgias Calgar forassistance with removing the xzeno war machine. 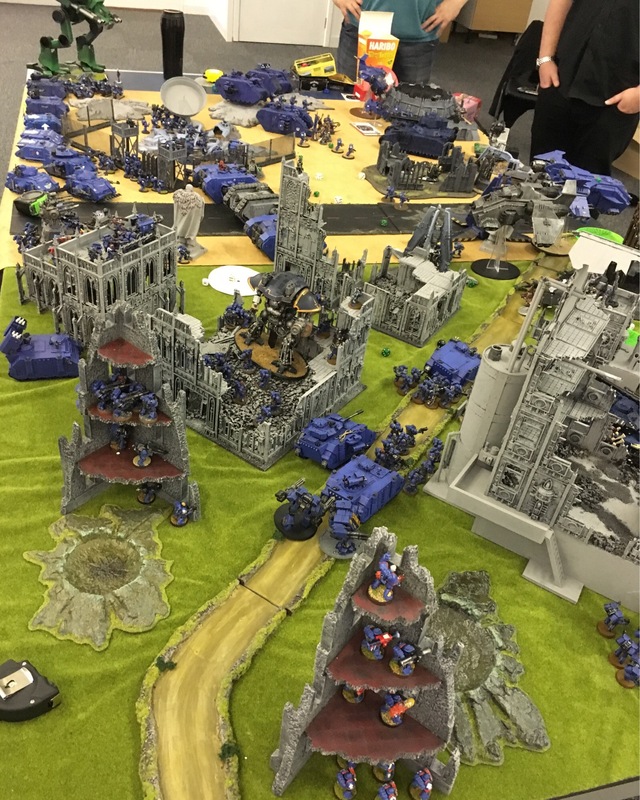 The forces of Ultramar oblitorated the Phantom Titan during the 1st turn. 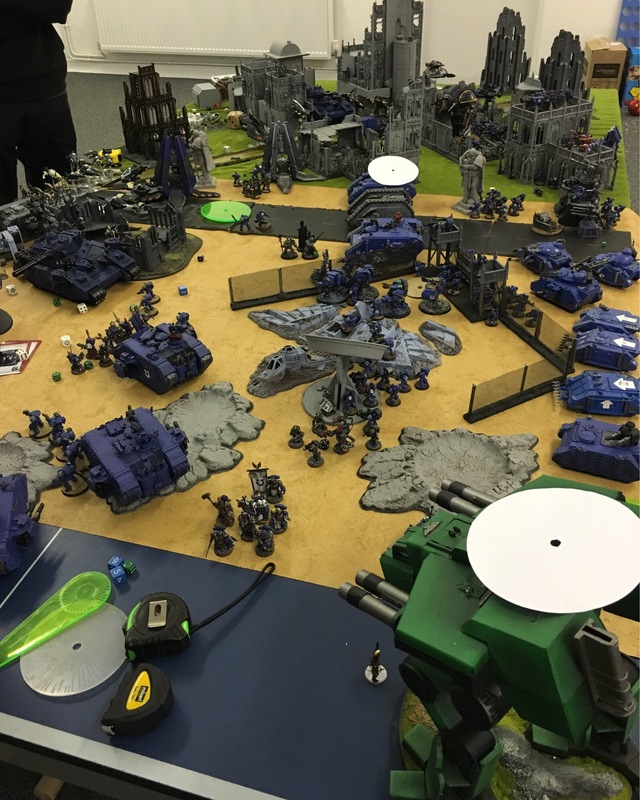 This was largely down to a single squad of Sternguard equiped with combi meltas, which arrived via drop pod. Although the Second and Ninth Companies also played a large roll in the demise of the Titan. 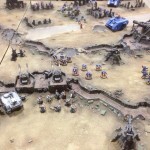 The terminators of the 1st company suffered heavy loses. 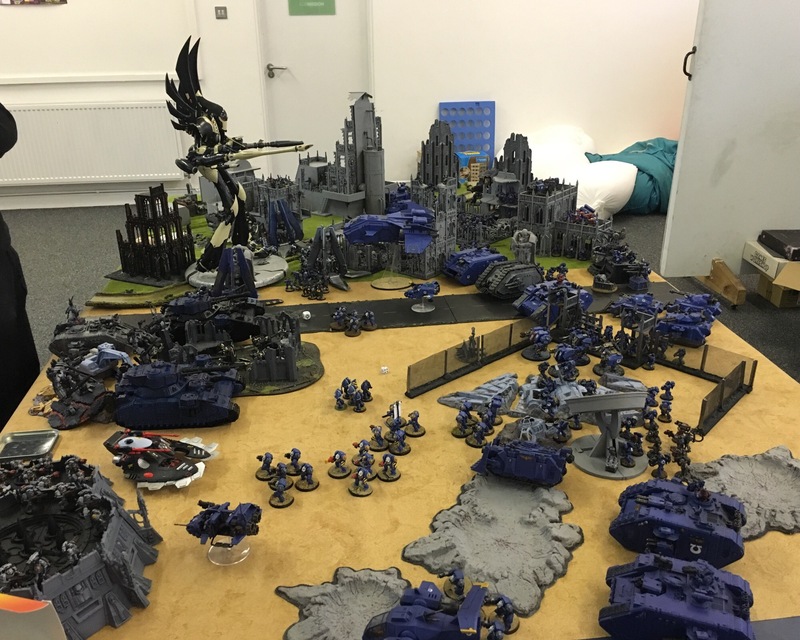 In true Christmas Apocalyse style this resulted in the Eldar and Grey Knights winnig the game on Victory points, a convincingly 9-3 with a turn in hand. 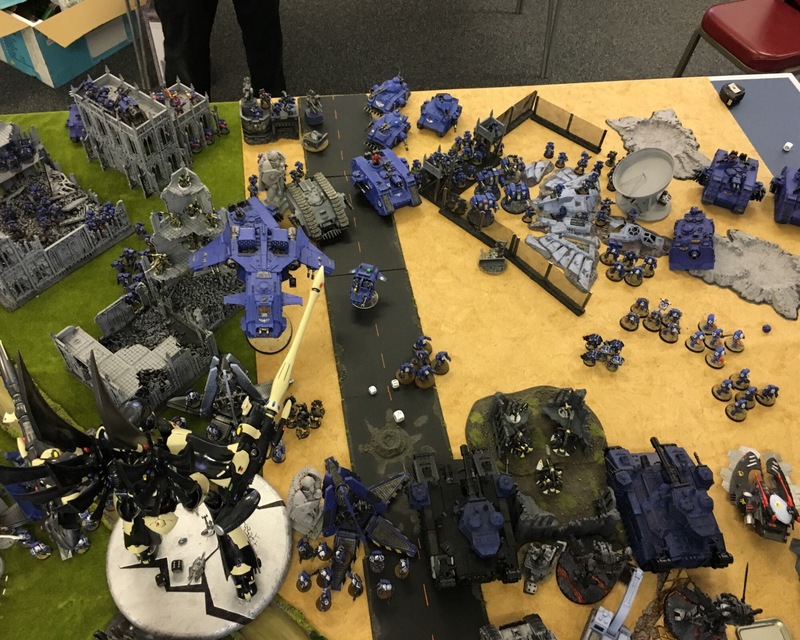 The morrle victory was clearly with the Ultramarines though, having oblitorated both the Phamton Titan and a Baneblade. 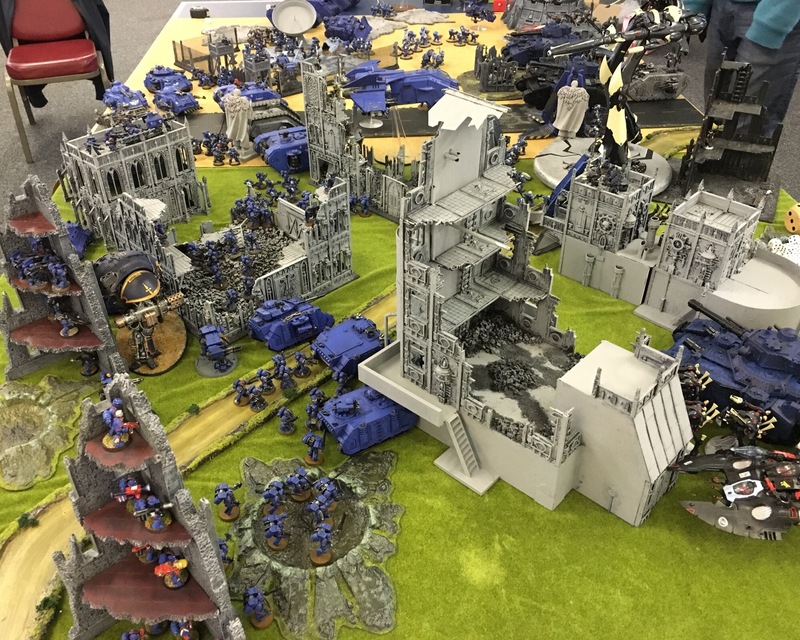 The Ultramarine chapter has now been declared trators to the Imperium due to firing upon Grey Knights. A small price to pay for redeeming their honour. 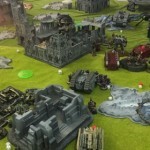 This entry was posted in Apocalypse, Battle Reports, Eldar, Grey Knights, Imperial Knights, Space Marine Companies, Space Marines, Ultramarines and tagged Apocalyse, Land Raider Squadron, Phantom Titan, Space Marine Company. Bookmark the permalink.